Put down the chopsticks and pick up the fork and spoon, because you are doing this Thai food thing all wrong. 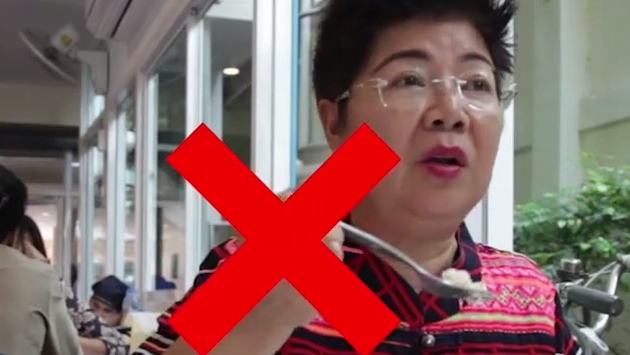 Digg spotted a brief Coconuts TV video that may just save you foodie travelers some heartache, featuring Apsorn Gumnurdmanee who owns Krua Apsorn Restaurant in Bangkok, Thailand. Previously we spotted a Munchies video of a sushi chef holding class on the proper technique to enjoy a night out at the sushi bar. Thankfully, we now have some semblance of etiquette when the mood for tom kah or a heaping serving of pad ka paow strikes us. As you see in the video, there isn’t anything all that complicated in enjoying brilliant Thai fare, just ditch the chopsticks. And if you absolutely must use the instrument used heavily in other Asian countries, make sure to keep from poking them into the rice. It’s a big no-no. Other than that, use the spoon and fork for optimal and truly efficient eating. You see, the spoon is a versatile go-to device to get the food from the bowl to your face, especially when that food is a delicious shrimp head. Now that we have a hankering for all things Thai food, we may just bring a small shovel to dinner.